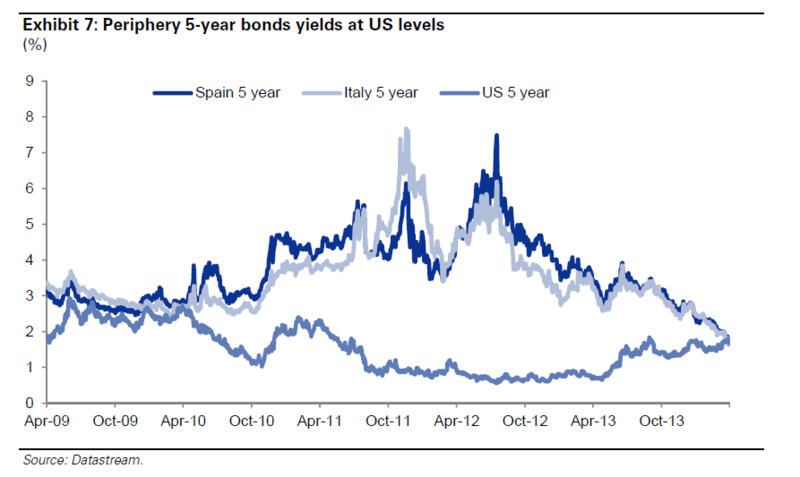 Spanish and Italian 5-year government bond yields are now below those of the US. 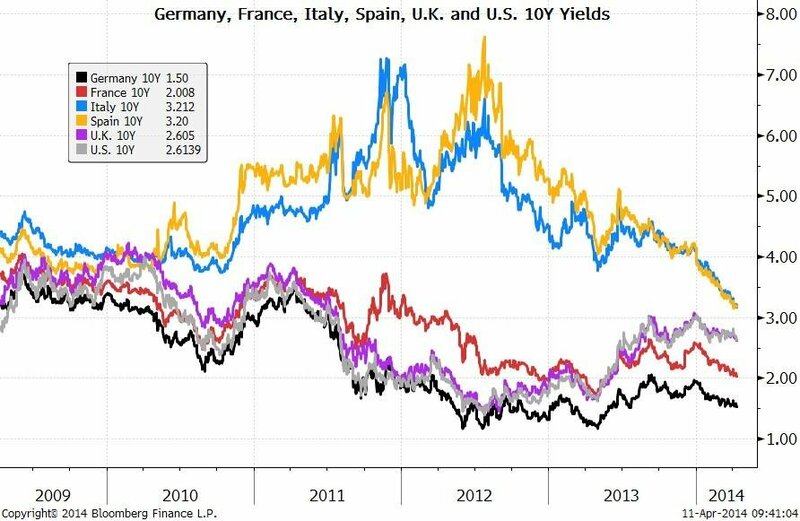 There is still a real threat of deflation across Europe and some countries are already experiencing deflation, but “Whatever it takes” has had a huge impact on debt markets. This entry was posted in Uncategorized and tagged "Whatever it takes", European Inflation, Quantative Easing by brokenmarkets. Bookmark the permalink.